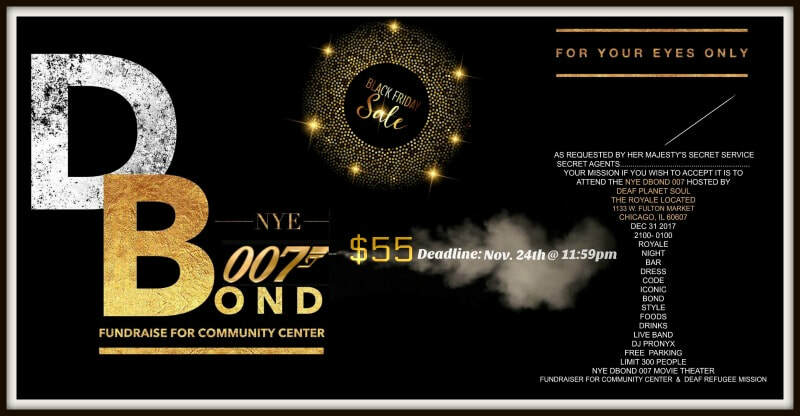 Ring in the new year with a BANG! 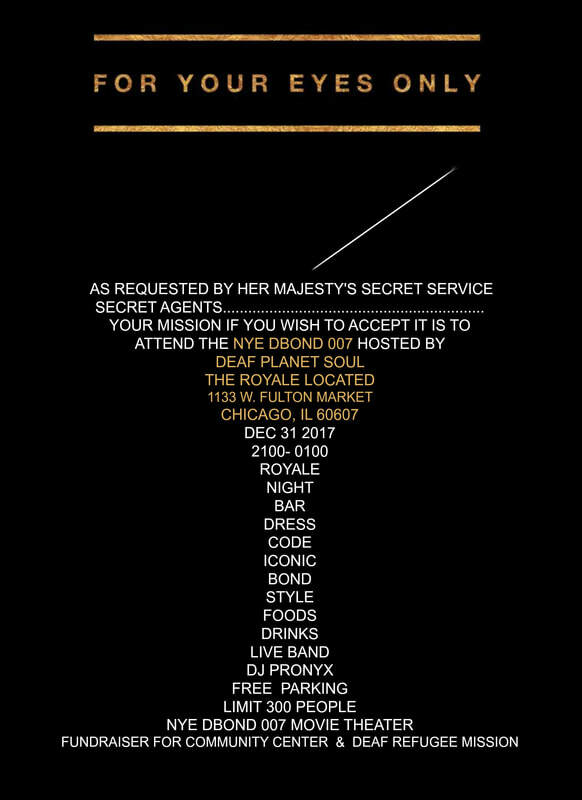 Join DPS DBond NYE Part II in Chicago. Party starts at 9pm, ends at 1am. This high-class party includes live music by Jerry Tiberi’s Jazz Trio and DJ ProNYx, specialty drinks, food, a photo booth and special themed surprises. Dress to kill! 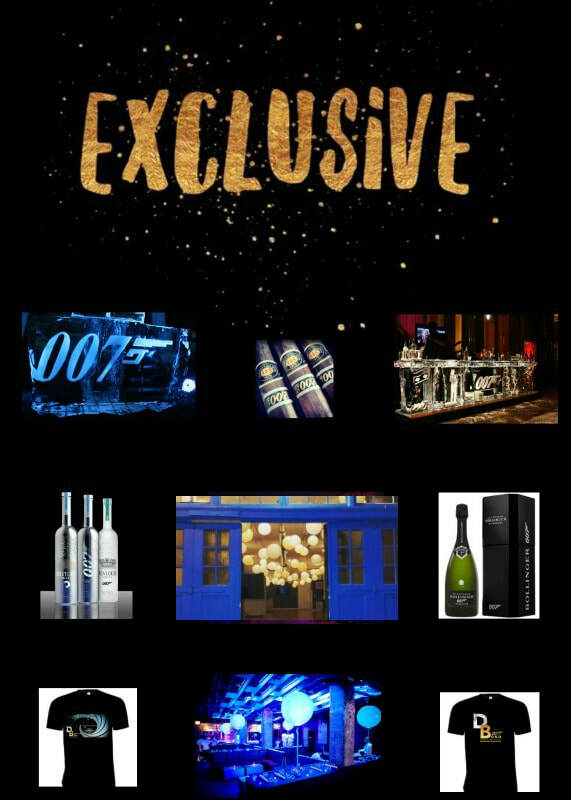 D Bond 007 T-shirts will be available for sale. ​Limited to first 300 people. 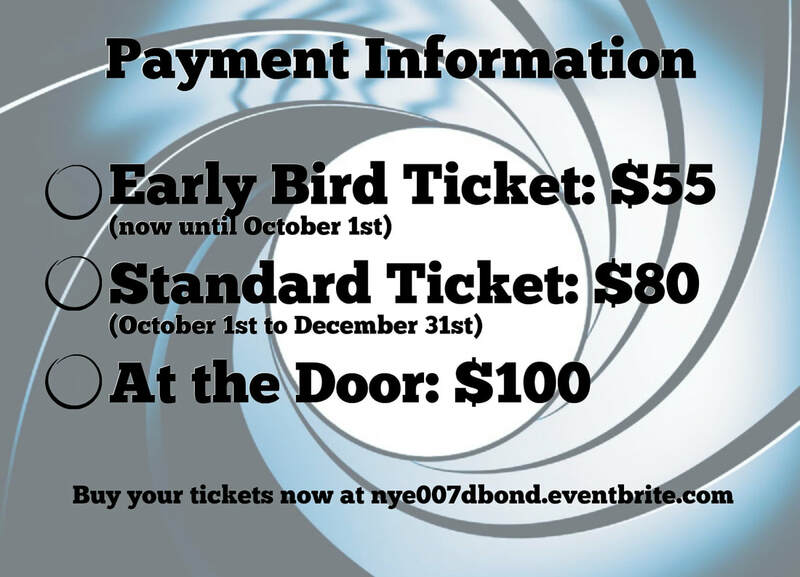 Tickets will be sold to the first 300 people! Free parking available. 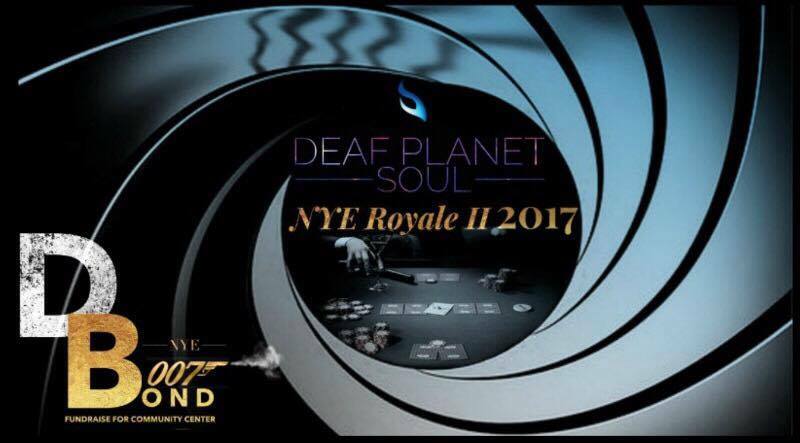 100% of proceeds support Deaf Planet Soul’s Community Center and Deaf Refugee projects.